Single-shoulder bag with coloured inlaids and made of polyester. Internal pocket and shoulder strap. Dimensions: 24 cm high x 17 cm wide x 6 cm deep. The Erreà Fabian shoulder bag is designed for sporty and stylish athletes, perfect for carrying your most important personal items. 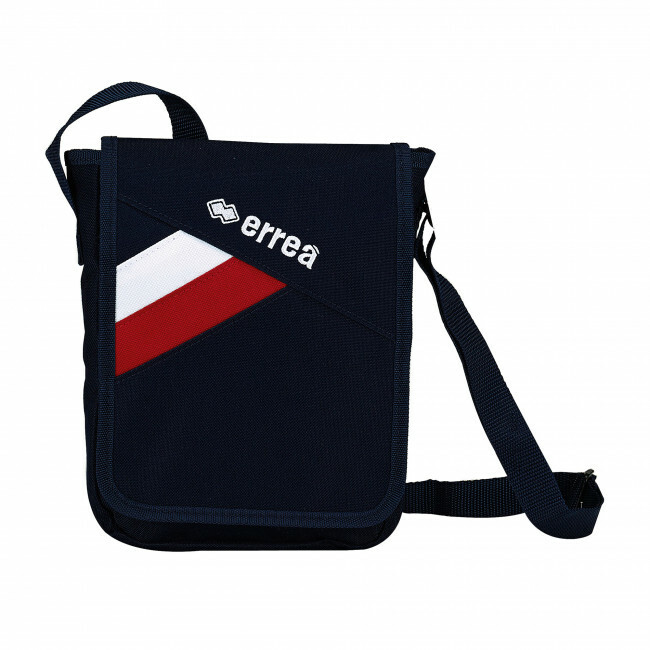 Can be used while going to training or for your free time: this shoulder bag has a versatile and modern design, with coloured inlays to match your team colours. The front opening has a Velcro closure, whereas inside you will find a small zipper pocket, for holding your most precious personal belongings.